Stock colors (Red, Black, Charcoal grey) Custom colors on request. 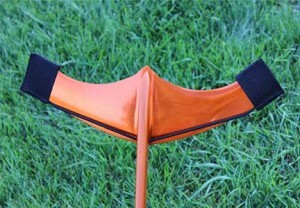 The two piece cover is made up of a strut cover and a wing cover. 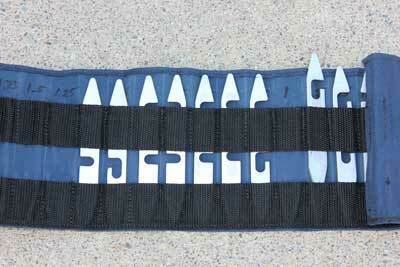 By doing this the wing portion can be left on while in the rack on your boat. Most covers on the market are prone to tearing after just a few uses because of the way you have to slide them on and off over the sharp wings. I tested many design’s before I came up with this style of cover. The cover simply rotates onto the wings, which GREATLY reduces the chances of tearing and with the addition of the rear wing tip covers, tearing is all but eliminated! Covers will fit most wing combos with up to a 40” T-bar. 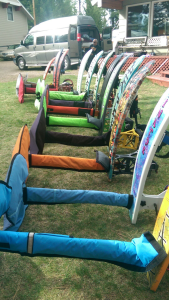 If your T-bar is longer, or you have a Venom rear wing, let me know for you will need a customized cover. The wing section will have the charcoal grey bottom with your color choice on top. 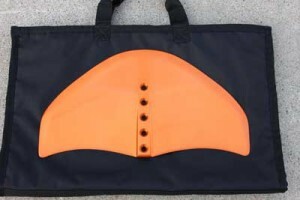 Strut cover will be in your color choice. Customized covers upon request for an additional $20. Ask yourself which you would like, a binding that was fit to your foot or a binding that you have to jam your foot into to make it fit? I started playing with binding designs because I could never find a binding that didn’t have some kind of uncomfortable pressure point or fit. Well now you can. I designed these bindings so they fit to your foot every time you ride! Now you not only have a super comfortable fit but a light weight SAFE binding with the incorporated heel strap design. Thanks to Ben Ferney, the heel strap idea was his I just modified it a little. Bindings are constructed of multiple layers of heavy duty nylon and polyester webbing. The tongue and lace design along with the neoprene work together to form a snug to somewhat tight fit. The heel strap is attached so that there is no way for it to slip down and off your heel. The other nice aspect of my bindings, one set will fit multiple size feet. I have one couple that shares a ski, he has size 11 and she has size 5. 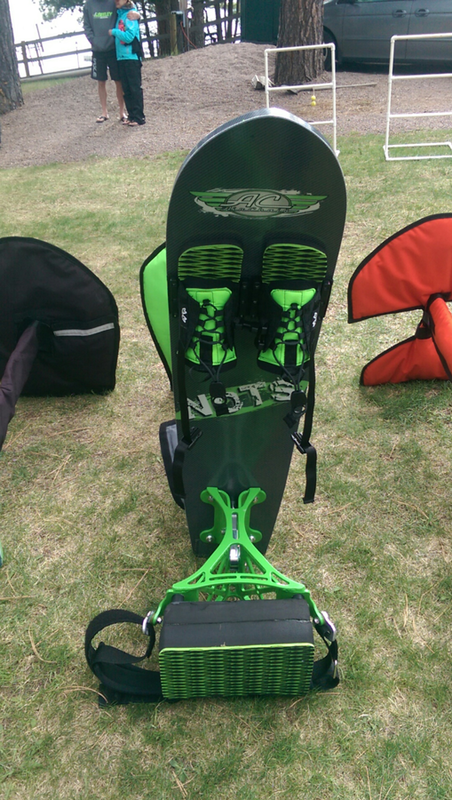 It’s very simple and easy to install and fit your new bindings. When installing you MUST use binding rails, you cannot just put a screw threw the webbing. 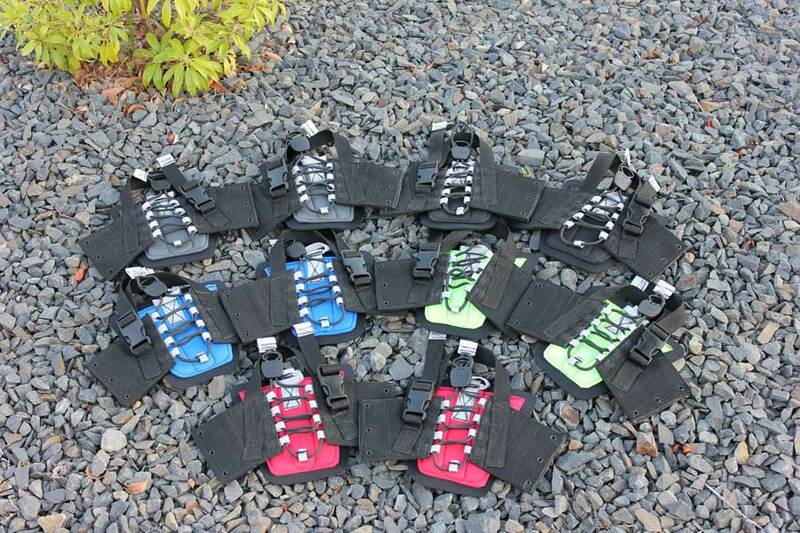 Install the bindings so the buckles for the heel straps are on the inside of your feet. This makes it much easier to get out of after your ride. Now that your bindings are on your board, extend the lace keepers all the way out and loosen the bindings side to side. Next make sure the heel strap is buckled and strap is extended most of the way out. Now you’re’ ready to SET your foot in the binding (not jam it in) snug the heel strap so it’s comfortable than tighten your laces from the toes up for a snug NOT tight fit. Slide lace keeper to lock. GO RIDE AND HAVE FUN!!! When you’re done riding unbuckle the heel straps and slide your feet out. When you get back on the boat extend the laces and heel straps, buckle heel strap and loosen bindings side to side. You’re ready for your next ride. It’s that easy! The biggest problem I see is people want to over tighten everything. YOU WILL NOT COME OUT OF THE BINDINGS with a snug fit. DO NOT OVER TIGHTEN HEEL STRAPS!!! Make them comfortable, your feet will stay in place and by pulling so hard on the laces the only thing you have accomplished is you stretched out the laces. If your so use to jamming your feet in for a tight fit, follow my instructions on a SNUG FIT, go take it easy for a little bit and before long you will not even notice you have bindings on! You can use this board bag for most any hydrofoil board in your quiver. They are available in charcoal grey only for now. It is padded with a polyester batting and made out of the same materials as the foil covers are made of. The older boards you could throw in the back of your vehicle and not really worry about little dings here and there because of what they were made of but with the new CF boards I thought it would be nice to add a little more protection and keep them looking good. This bag can be fitted with or without T-bar attached to the board and will fit into most racks. It’s mainly for protection when transporting in and around to and from the lake. It is not a travel bag for the airlines. 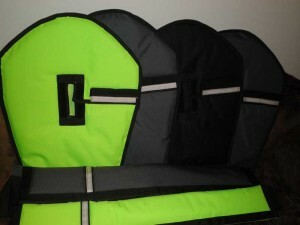 The bag is also equipped with buckles to accommodate a seat tower cover which will be coming soon. As for now let’s get that board protected. The board cover has a charcoal grey bottom with your color choice on top. Customized covers upon request for an additional $20. As the hydrofoil sport grows a lot of people seem to have a variety of front and rear wings with nothing to keep them safe in. These bags were designed for you to take with you to the lake or just to keep the wings you have at home safe. They are made of the same tough material as the foil covers but are lined with fleece for more wing protection. Call I will make you a wing bag but at this time I do not have any in stock. Most wing bags accommodate 1 front and 1 rear wing. 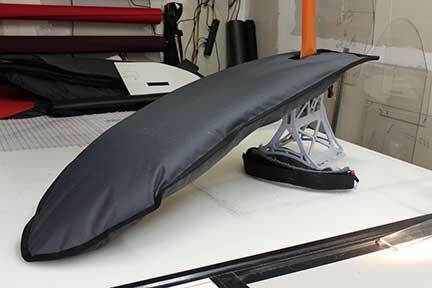 In this style of wing bag I can also make it to fit 2 fronts and 2 rears. I have not had any request for anything more at this time but if you’re thinking about something for more wings than that, call me let’s talk. Price varies with options. Those rear wings! What are we going to do? They are getting SOOOOO sharp these days I had to do something to keep covers from getting torn. So here they are, this is a must have to keep your covers in tacked. Simple and easy!!! They also protect your boat from those sudden misshapes when your cover is not on. Are you always looking for that correct size shim in your little bag of shims? This case can be made for however many shims you own. Arrange them in sizes from positive to negative so you’re not searching everywhere and loosing riding time. To place orders please fill out contact page information and place order in the comment box.